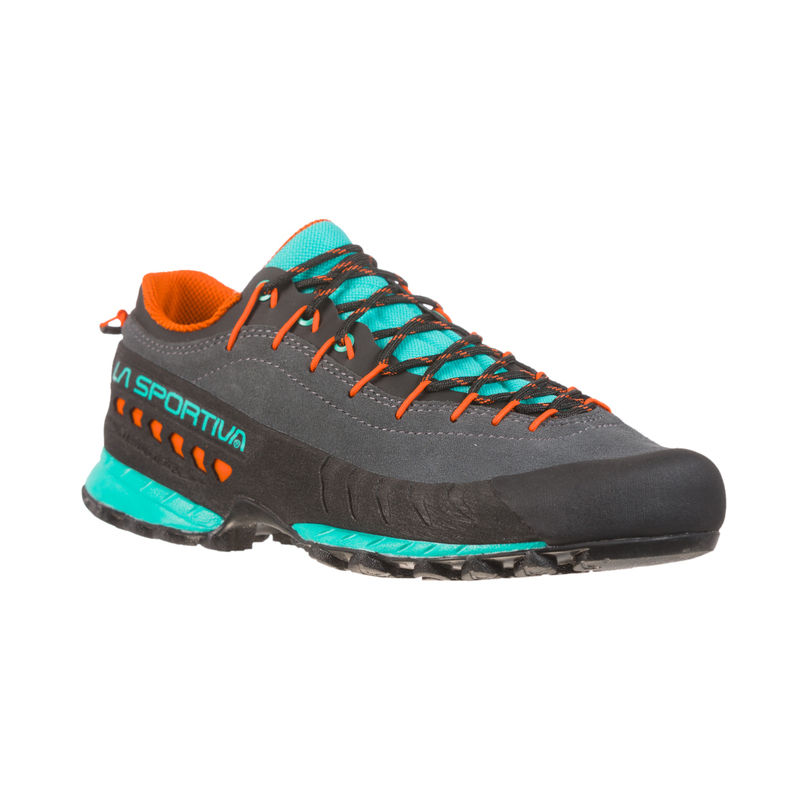 The La Sportiva TX4 Women’s is a durable leather approach shoe that’s great for technical approaches, hiking, trekking and backpacking in all kinds of weather conditions. 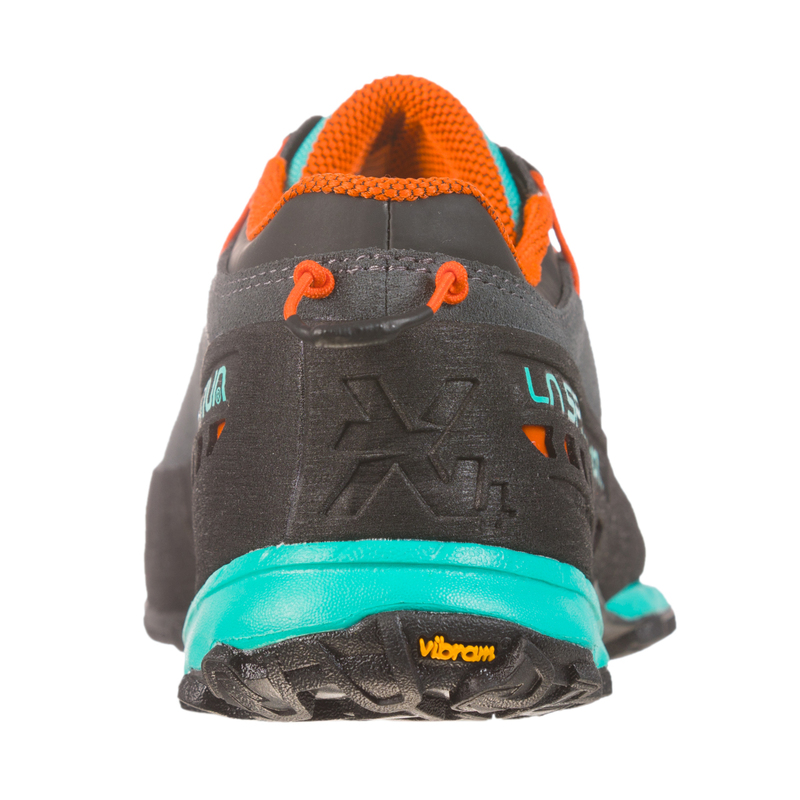 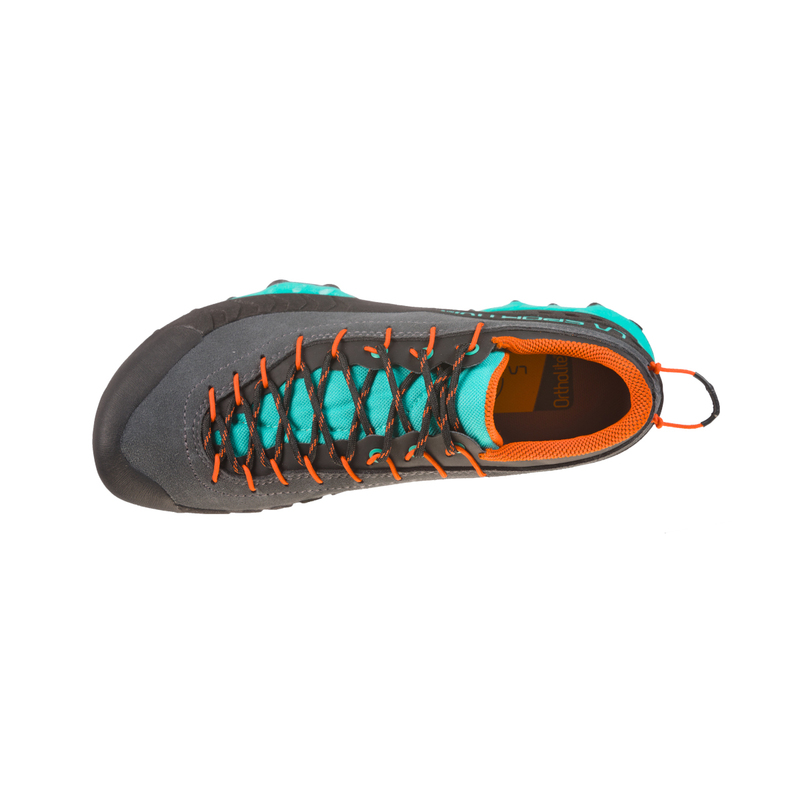 A burlier cousin of the TX2, the La Sportiva TX4 Women’s approach shoe has a grippy and durable Vibram Megagrip sole and is equipped with La Sportiva’s Impact Brake System for the best grip over a multitude of terrain and conditions. 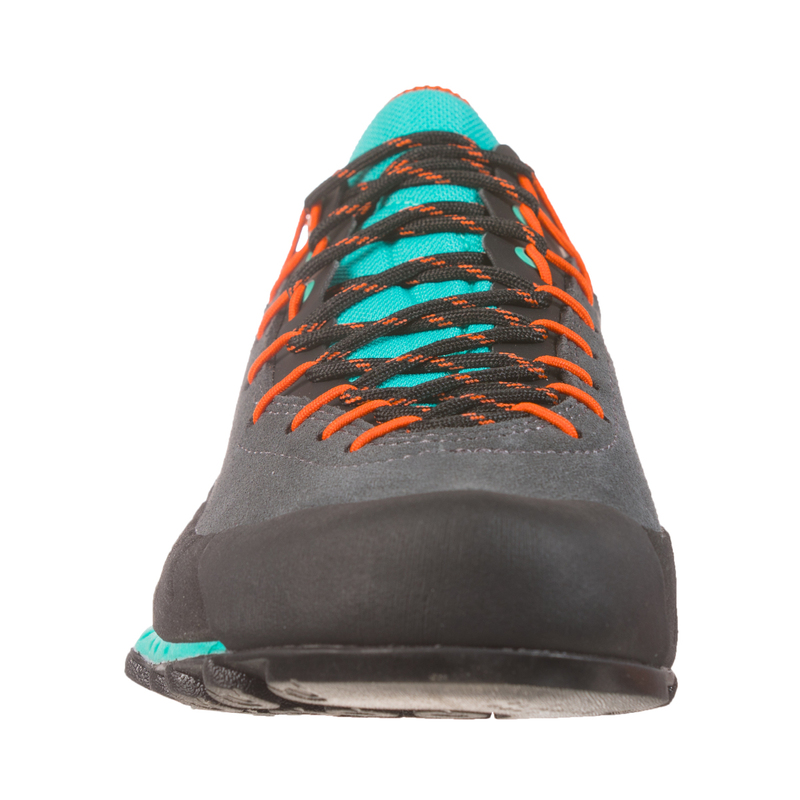 Other handy features include a wide forefoot for added stability, with the innovative SBT Control System to provide extra support and torsional rigidity on technical rocky steeps. 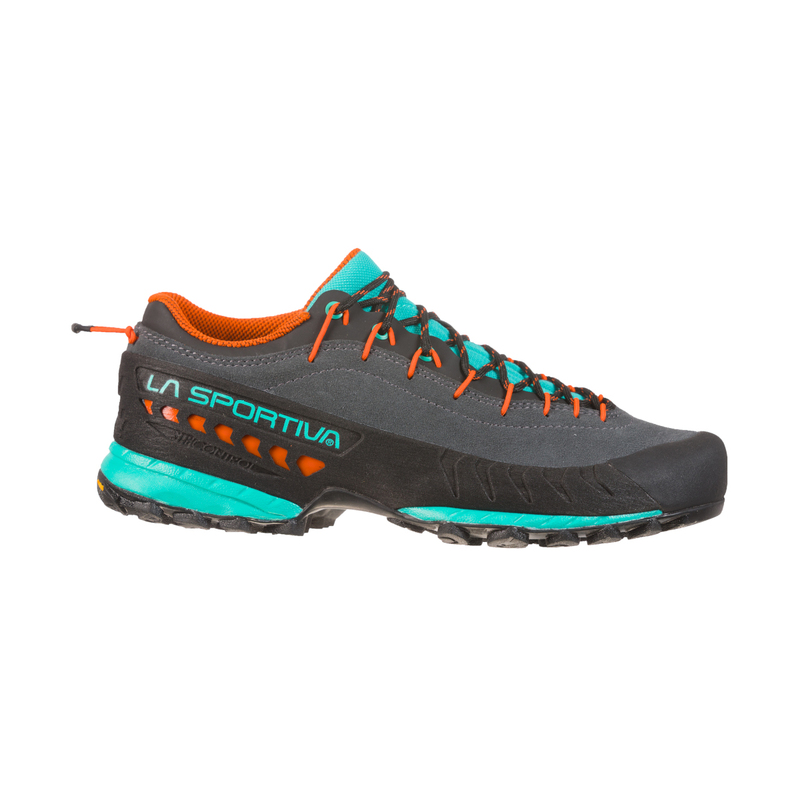 The La Sportiva TX4 approach shoe has a Vibram Megagrip sole, which was developed for use on slippery surfaces in all weathers. 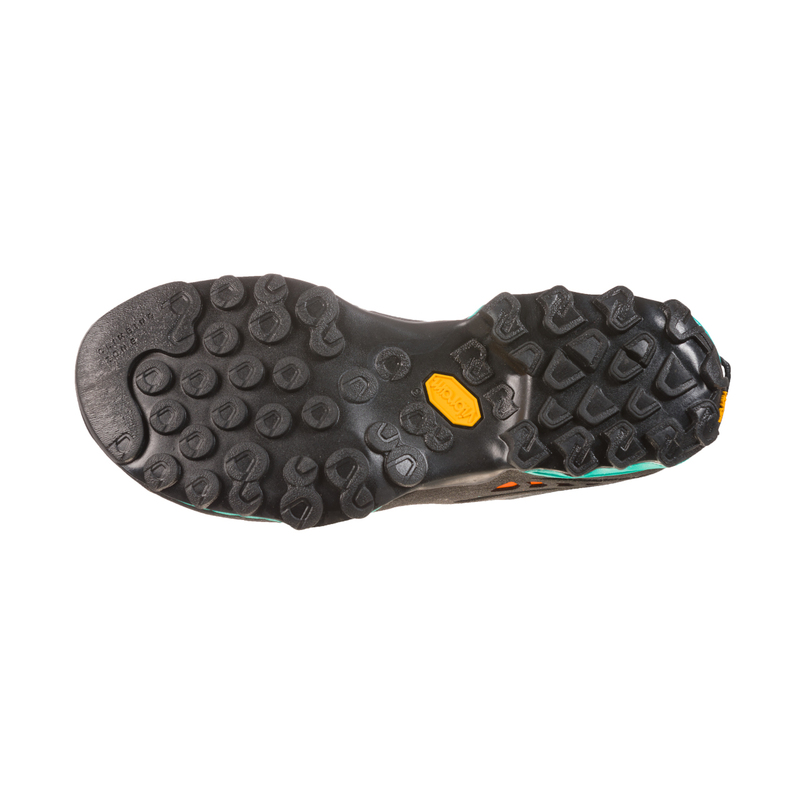 Vibram is one of the world’s most well-known producers of shoe soles and as a result, Megagrip is not only incredibly grippy over a range of surfaces, it’s super durable, making it the ultimate shoe sole for demanding activities such as hiking, trekking and backpacking.